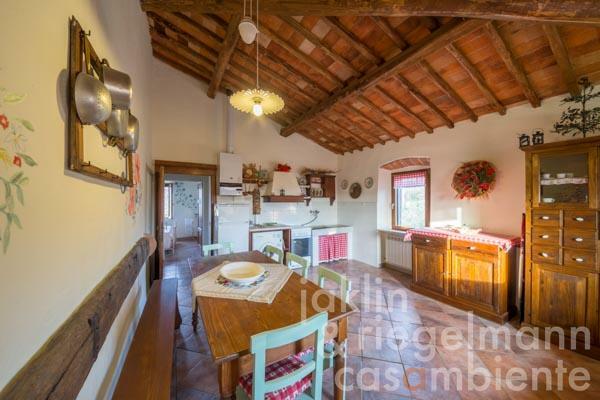 On a plateau in Tuscany, south of Chianti and just 30 minutes from Siena, stands this lovely stone house, surrounded by adjoining fenced plot of about 9 hectares. 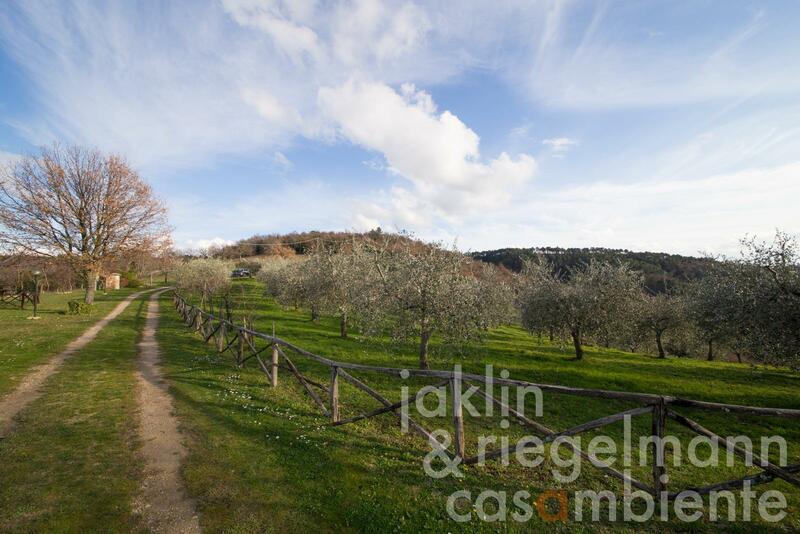 Surrounded by woods and surrounded by manicured lawns, fruit trees, ornamental shrubs and owned olive grove with about 400 trees, it is a quiet and spacious haven. 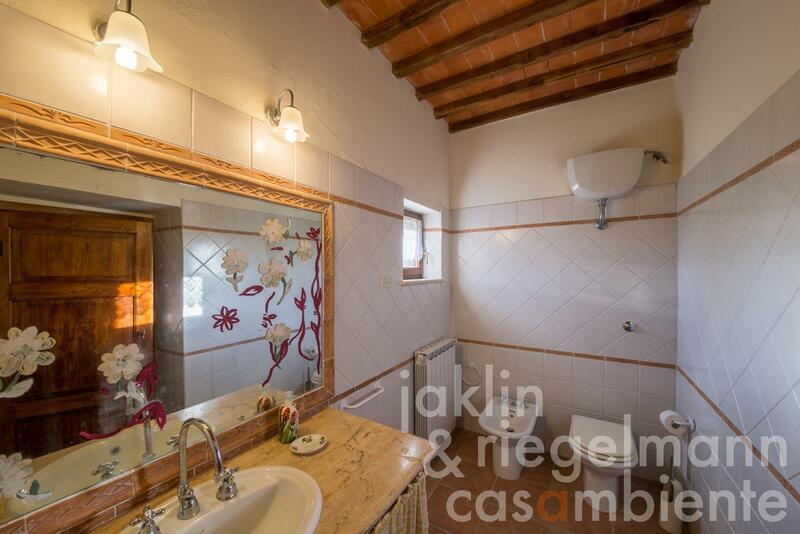 The property has seating places dotted around, and the round swimming pool not far from the house offers refreshing relaxation. The site houses two small equipment sheds. 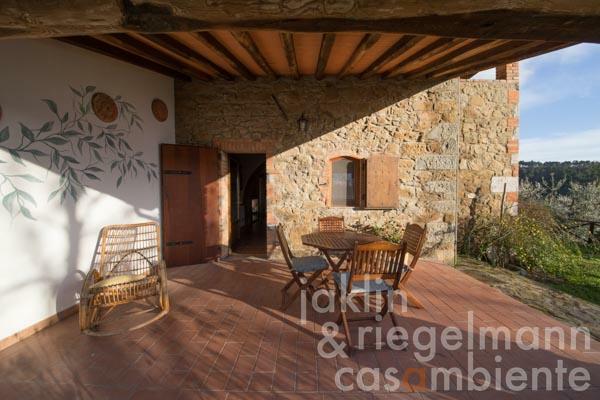 The structure of the house itself, with its grand porch, the annex with the another porch and the external staircase with its typical canopy, is traditional. 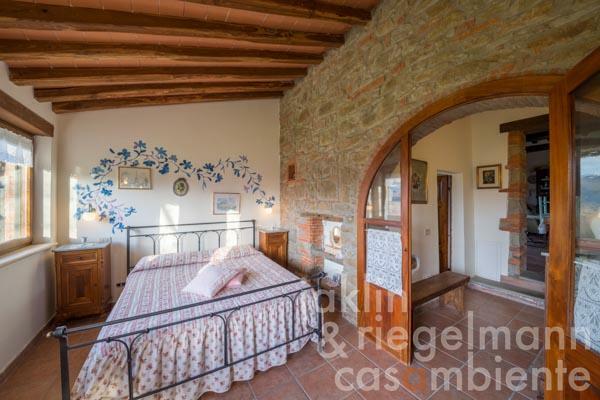 The building is currently used as a holiday home which is why it is divided into three apartments: two on the ground floor and the third, occupying all of the top floor. 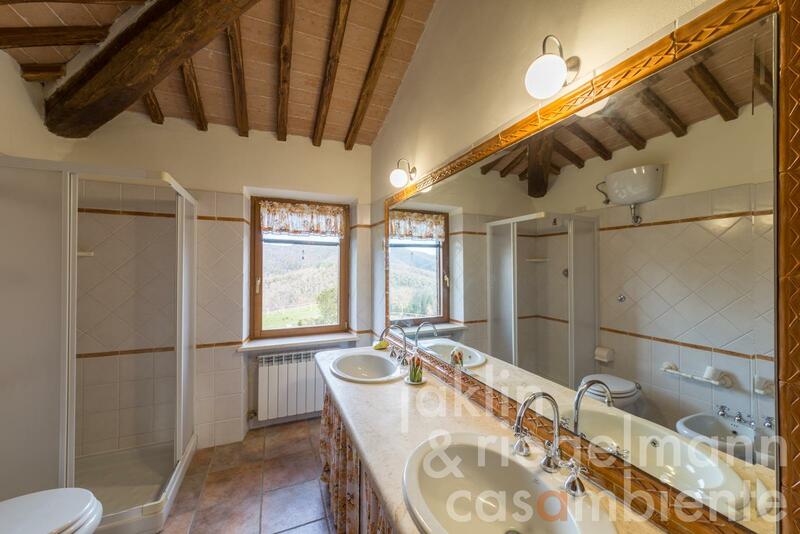 The house thus has three bathrooms. If appropriate, the three accommodation units can be merged into one. During renovation works mostly original Tuscan materials were used for the ceilings, with wooden beams, and terracotta bricks. 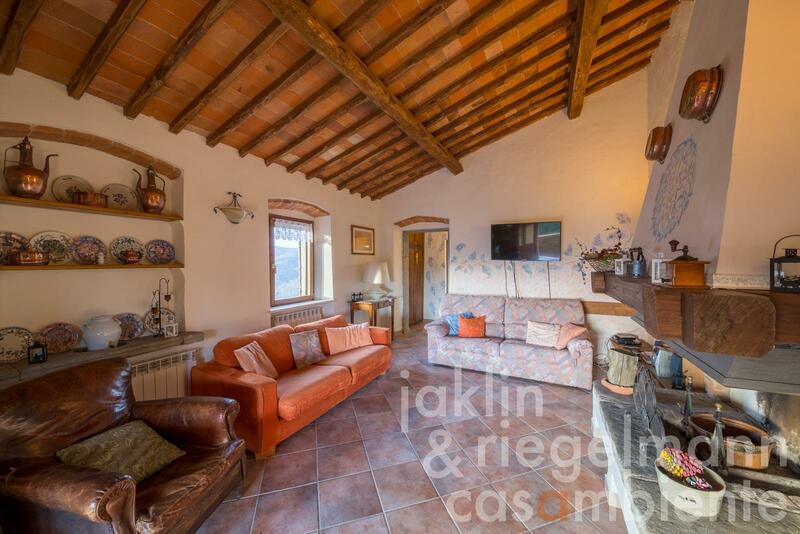 The spacious living room on the top floor has a large stone fireplace. 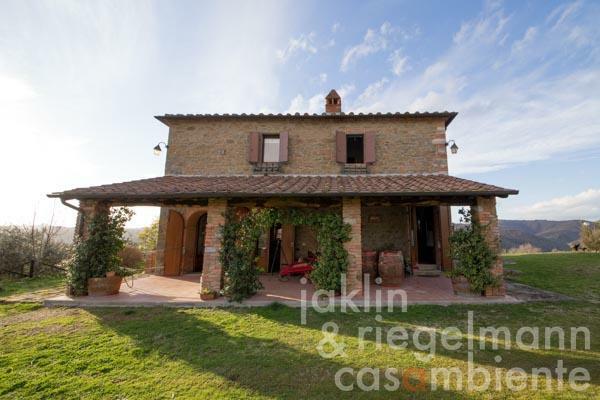 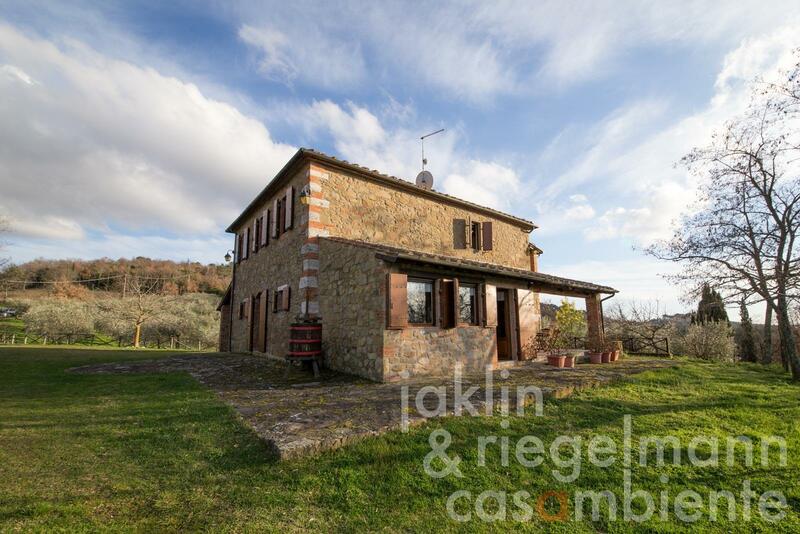 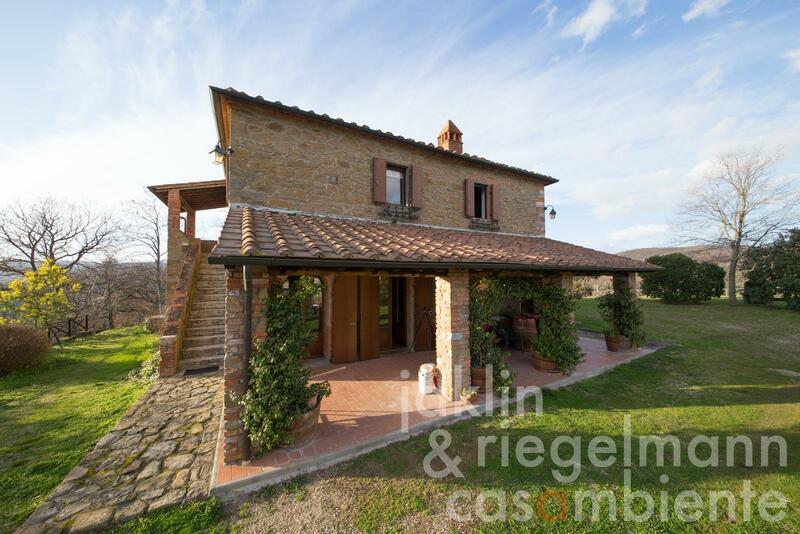 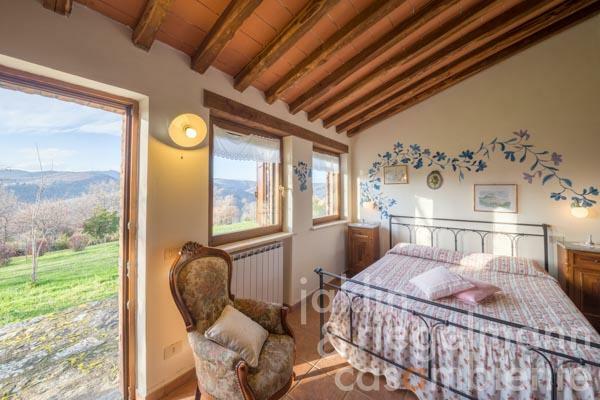 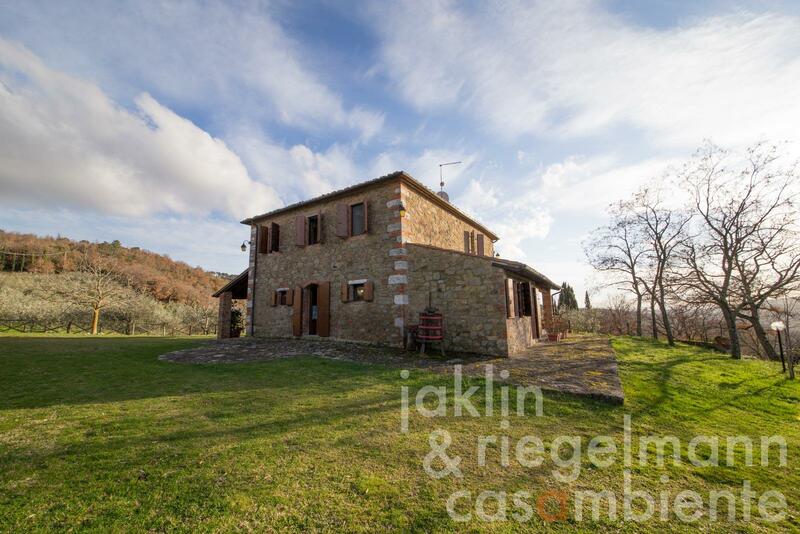 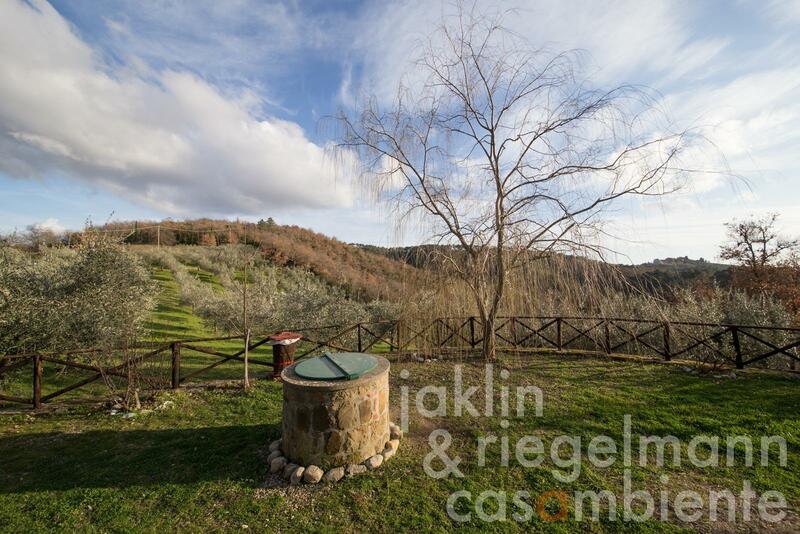 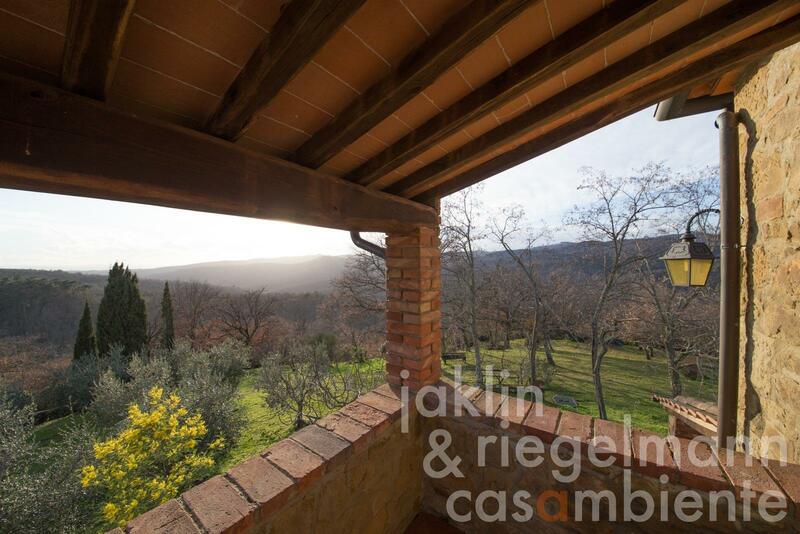 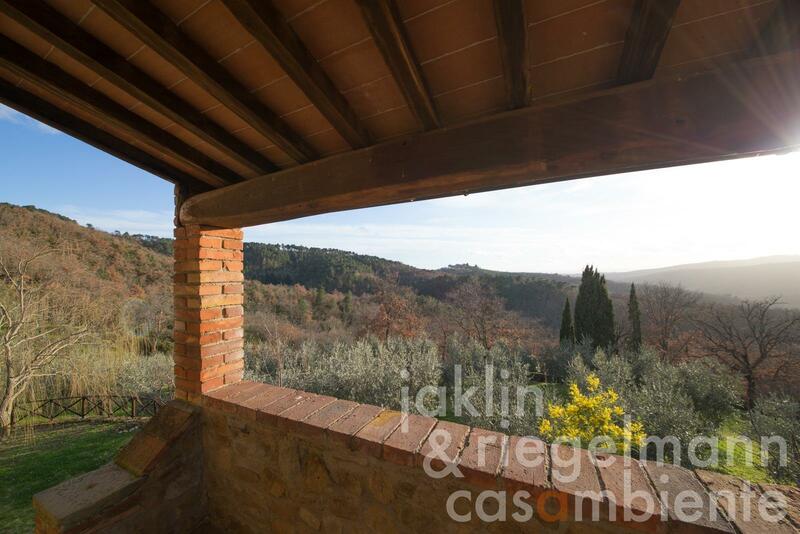 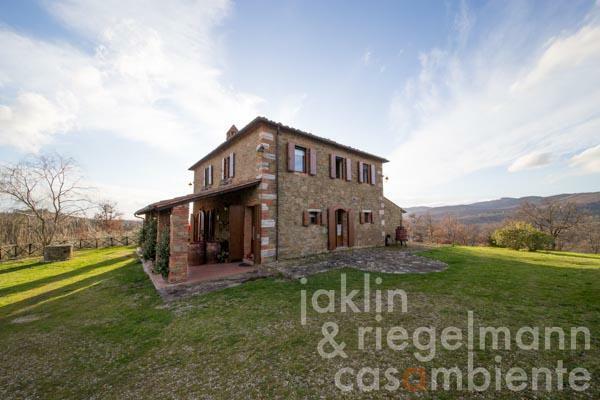 This stone house offers a traditional very pleasant Tuscan setting throughout. The property is accessed via a country road of about 2 km, and from the entrance gate, a private driveway extends to the house to confer a quiet and undisturbed privacy. 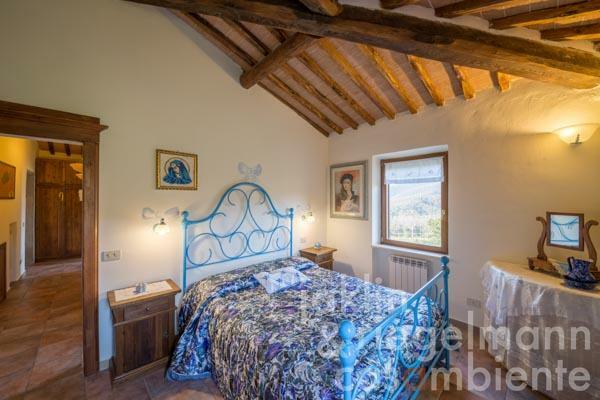 The nearest village is just a few minutes away, and the town of Siena is half an hour's drive. 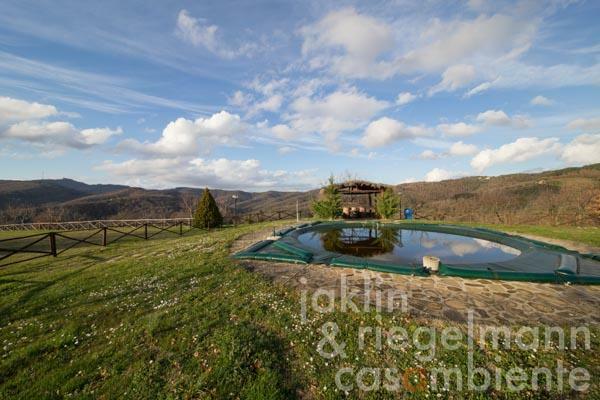 Italy, region Tuscany, province Arezzo, municipality Bucine. 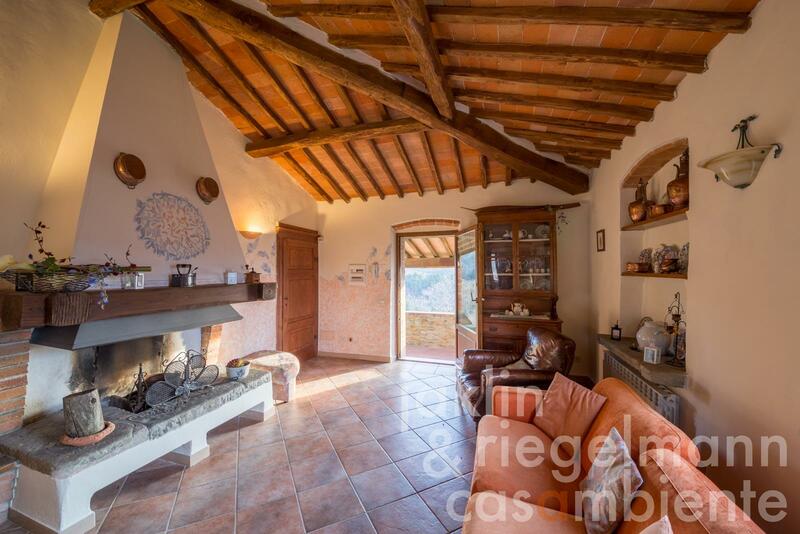 Electricity, own well water, central heating, fireplace, gas tank, satellite-TV, automatic gate, alarm system, swimming pool, private parking, terrace, olive grove, garden.